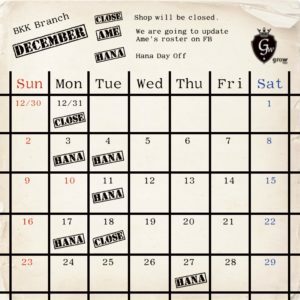 This is our BKK branch’s schedule on December!! 31st December and 1st of January for New Year! !